Appointments generally last about 1 to 11⁄2 hours. It’s best not to come to your appointment on a full or empty stomach. Please arrive approximately 30 minutes before your appoint to fill out new patient forms. Alternatively, you may download the forms here and bring them filled out before arriving. The acupuncturist will check you in and, after reviewing the intake forms, may ask you a series of detailed questions about your health problems and symptoms, feel your pulse on both wrists, and look at your tongue. After the consultation, the acupuncturist will ask you to remove your shoes and socks and lie down on the table. You may be asked to remove other articles of clothing depending on what area will be receiving treatment. For your comfort and convenience, we offer clean medical gowns that can been worn during the treatment. After swabbing the various acupuncture sites with alcohol, the acupuncturist will insert very thin, sterile, disposable filaments. Although some points are more sensitive than others, the patient will usually feel little to no sensation or discomfort. The metal filaments will be left in for approximately 15-30 minutes. During this time, the practitioner may check on you several times. Most people find acupuncture to be very relaxing; however, should you experience any pain or discomfort, please alert your practitioner right away so that any adjustments can be made. If your practitioner thinks it would be beneficial to your treatment, he/she may make recommendations for herbal formulas, dietary changes, and/or types or changes in exercise. Plan to take it easy after your treatment. Sometimes after treatment you may feel a little lightheaded or “woozy”. If this is the case, please sit and relax for a while in the waiting area. After a few minutes, you will be relaxed and clear-headed. Herbal prescriptions are intended only for whom they were prescribed and may be inappropriate or harmful to someone else even if they have received the same diagnosis. 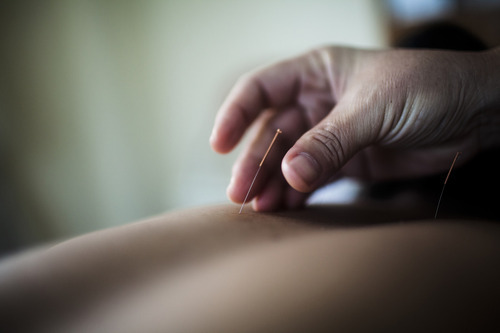 Very rarely, symptoms may become worse after an acupuncture treatment. This is often a sign that previously dormant conditions are being awakened so that complete healing may occur. This should pass quickly. If you have any questions or concerns, please do not hesitate to contact us.